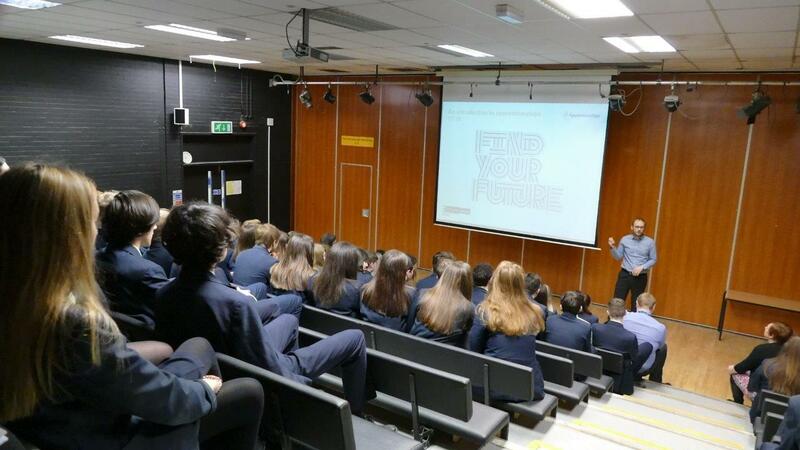 On the 5th of March, All About STEM visited Bishops’ Bluecoat Church of England High School to host an Apprenticeship Support and Knowledge for Schools (ASK) event. Project Manager Dr Dave Armson, was overjoyed to host the apprenticeship assembly as a former student of Bishops’ High himself! 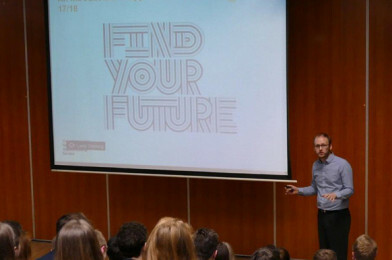 Over 170 students attended the event to discuss careers and discover the amazing range of apprenticeships available to them. Did you know that you can achieve a degree through an apprenticeship? Did you know the Government has targeted 3 million apprenticeship starts before 2020? Did you know that there are up to 28000 apprenticeship positions available across England? If you didn’t know the above you are not alone and All About STEM has been working in Cheshire and Warrington to help make sure that schools, colleges and their students are fully informed about the brilliant opportunities that apprenticeships offer. In March 2017 All about STEM started to deliver the (ASK) Apprenticeship Support and Knowledge for Schools project (commissioned by the National Apprenticeship Service). The project works with school and colleges to ensure they are getting the support they need to fully promote apprenticeship by ensuring they are provided with up to date information and guidance about apprenticeships.